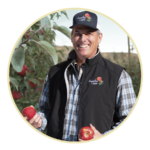 Chelan Fresh is proud to represent the growers of Chelan, Douglas and Okanogan counties in Washington State. 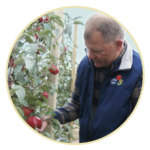 Meet one of the growers who make our beloved SugarBee® apple available for you to enjoy. We caught up with Dave to find out what he’s been up to and what he loves about his work. 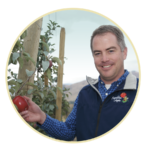 Chelan Fresh is proud to represent the growers of Chelan, Douglas and Okanogan counties in Washington State. 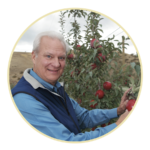 Check in regularly to hear about what’s happening out in the orchards that produce some of Washington’s Finest Mountain Grown SugarBee™ apples. 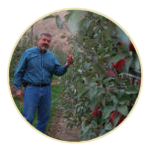 Chelan Fresh (CF): Hi Dave, could you please tell us a little bit about you and your orchard? Dave Robison (DR): Sure, I’d be happy to. 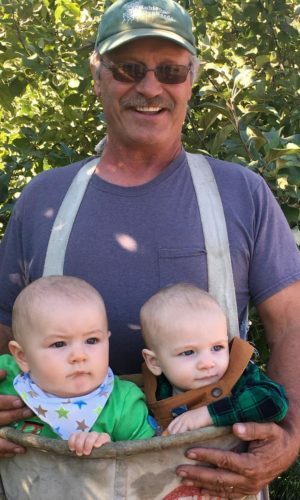 I am a third generation farmer and have been farming since 1982. Our home place is at 25 mile creek on Lake Chelan, but we also farm north of Chelan on Howard Flats. We have 120 acres in total. CF: What varieties of fruit do you grow? DR: We grow pears: Bartlett’s, D’Anjou, Bosc, as well apples: Gala, Honeycrisp, Envy, Jazz, and SugarBee®. We also grow cherries. DR: We as small farmers wear all the hats. I know some guys love the shop and mechanics, while others enjoy growing trees. Personally, I like interacting with people. For me, the most challenging part of the business is keeping up with the changing agriculture trends and regulations. CF: What is your favorite fruit? DR: It’s a close call, but my favorite has got to be the new SugarBee® apple. CF: Can you share a recipe with us? DR: No need for a recipe. The best way to eat a SugarBee® is right off the tree!